Composer-conductor Oliver Wallace is born in London, England. At some early point in his life, Wallace and his family crossed the Atlantic Ocean and settled in Canada. They later trekked across the continent and eventually moved to the west coast. Wallace worked at the Walt Disney Studios on both short subjects and features from 1936 until his passing in 1963. His large body of work includes the Mickey Mouse short Mickey's Amateurs, and the features Alice in Wonderland, Peter Pan, Old Yeller, and Dumbo. Starting with the 1948 Seal Island , Wallace also specialized in musical accompaniments for Disney documentaries, including nearly all the films for the "People and Places" series and some of the "True Life Adventures". He was nominated for five Academy Awards during his tenure at Disney and in 2008 was named a Disney Legend. 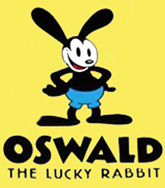 Disney's Oswald the Lucky Rabbit short Poor Papa is released. stop the continual flow of babies. The Flying Saucers attraction opens in Disneyland's Tomorrowland. The New Mickey Mouse Club, is born in Los Angeles, California. able to see and talk to the dead, The Sixth Sense will become Disney's highest-grossing live-action film. As of this day, Disneyland's Monorail Café (part of the Disneyland Hotel) closes. The Disney Channel Premiere Film Ollie Hopnoodle's Haven of Bliss (co-produced by Disney and PBS) debuts. Based on Jean Shepherd's 1968 short story, the movie follows the same Parker family from A Christmas Story on their annual vacation to Ollie Hopnoodle's Haven of Bliss, a set of cabins by a lake in Michigan. The film features a very young Jerry O'Connell as 14-year-old Ralph Parker. "Phenomonally Yours," the ninth Phil of the Future episode, airs for the first time on Disney Channel. Although it has been running since July, Disneyland hosts an invitation-only showing of its new park attraction Great Moments with Mr. Lincoln. 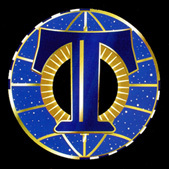 The evening program includes a retreat ceremony and dinner at the Plaza Inn. Although originally showcased as the prime feature of the State of Illinois Pavilion at the 1964-65 New York World's Fair, this is not the original Lincoln figure - but an improved duplicate. 100 Best Global Brands - at number 9 is Disney. station’s Web site for their talent ... singing "Happy Birthday" with a dog barking in the background. Home Alone, and Planes, Trains & Automobiles. While sailing from Gibraltar to Barcelona, the Disney Magic rescues 18 people who were aboard a small boat that had lost power. At 3:45 am on this morning, the Magic receives an SOS call stating that a nearby ship heard screams in the water. Disney's ship commences rescue operations and finds 18 Algierians who have been lost at sea for 4-5 days. at Epcot. A yearly event staged by Disney Cast Members, performances will run through August 8. The third newly designed Disney Store in the United States officially opens at Southern California’s Santa Monica Place. Touchstone Pictures releases the romantic musical drama Step Up 3D. The third installment in the Step Up trilogy, and the first shot in 3D, the film stars Adam Sevani and Alyson Stoner. Disney's Touchstone Pictures releases the comedy My Boyfriend's Back. A teenage boy named Johnny returns from the dead as a zombie to meet Missy McCloud, the girl he's in love with, for a date. coin find its way into their tip jars. The short will be released in June 2006 with the animated feature Cars. The soundtrack to Planes is released on Walt Disney Records.